It’s Day 2 of our week of holiday makeovers. This week, we’ve got five local makeup artists who are sharing their favorite festive makeup looks and the must-have tools. I’ve worked with or experienced first-hand the talent of each one of these beauty gurus, and I’m thrilled with each of the final selections. Up next: a classic, winged eye with gold shadow and a pretty pink pout. 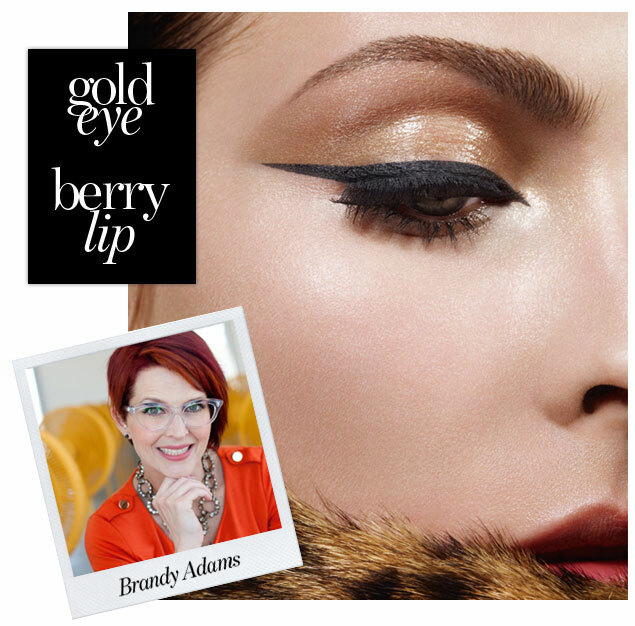 The Look: “Class in a Dash–Liquid Love that Dazzles,” glowing skin, highlighted eyes with gold/bronze sparkle shadow, warm blush with highlighter on cheek bones, classic liquid liner, and berry toned lipstick.